MaxiMarin Group – is a group of companies which includes a number of enterprises united by a common goal: to provide the Ukrainian farmer with new efficient technologies that were not available before. Manufacture of machinery for gardening and viticulture, specialized machinery and non-standard equipment. 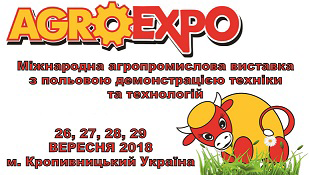 PE Innovation Center with IT "Maximarin" holds leading market positions in Ukraine in the field of development and implementation of innovative technologies targeted at preservation and regulation of moisture in the soil as well as improvement of soil characteristics. The company produces products under the trademark "MaxiMarin", which enable plants to use natural moisture fully, help to reduce frequency and volume of watering by more than 50%, thereby to reduce irrigation costs and to improve aeration and drainage of wet soils. The most advanced technologies can greatly develop our agriculture. Specialists of the PE " Scientific and Production Centre with IT, " Maximarin" have many years of experience in solving urgent issues concerning moisture control, using a complex approach to the soil features and the characteristics of each plant, and offer innovative technologies.